Anemia happens when your blood has a lower than normal number of red blood cells, or if your red blood cells don’t have enough hemoglobin. The symptoms usually include muscle weakness, ongoing fatigue or lethargy, brain fog, and sometimes mood swings, thanks to anemia’s side effect of low oxygen. Severe or unabated anemia can sometimes cause complications such as damage to the heart, brain, and other organs. Although it’s quite rare, anemia that stays untreated can even become deadly. Given that, most people in certain age groups – especially women in their reproductive years and adults over 65 with existing health conditions – are looking for natural therapies for anemia and learning how to recognize it. 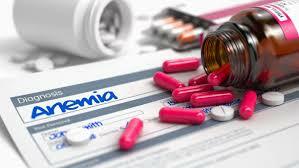 To learn more about anemia; read on below. Apart from getting enough iron and B vitamins, what’s the best thing you can do if you want to overcome anemia? The answer is – removing processed and other junk foods from your diet, as much as possible. Consuming a lot of empty calories like those found in most processed and junk foods can contribute to deficiencies in essential nutrients, fatigue, weight gain, weakness and also inflammatory bowel disease or candida. The first natural treatment for anemia is to nourish your spleen. Your spleen is an organ that’s responsible for producing red blood cells as well as keeping fluids in your system. If your spleen isn’t healthy, that’s one of the first possible causes of anemia. There are certain foods that will help nourish your spleen, helping you overcome anemia symptoms naturally. The foods that will help you with this are pumpkin, acorn and butternut squash, as well as other bright orange-colored foods. The next step in overcoming anemia is consuming foods that are high in iron. The richest sources of heme iron (the more absorbable kind) in the diet include lean meat and seafood products. Dietary sources of non-heme iron include nuts, beans, vegetables and fortified grain products. If you’re emotionally stressed out and you struggle with things like forgiveness, anger or have chronic worry and anxiety, those things can exhaust your spleen and your liver. So make it a habit to set aside some time for relaxation and fun during the week. Don’t forget to get plenty of sleep, too. It sounds simple, but it can really help recharge your system, help you destress, and give your body time to repair itself. If you do so, you’re going to see great results in overcoming anemia. You may be able to treat anemia on your own by making changes to your diet and lifestyle, not to mention supplements you’ll be taking and other natural homeopathy treatments. However, it’s a good idea to talk with your doctor if you suspect you have the condition, considering it can also be a side effect of other serious health complications.